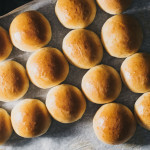 Fluffy and slightly sweet potato rolls. 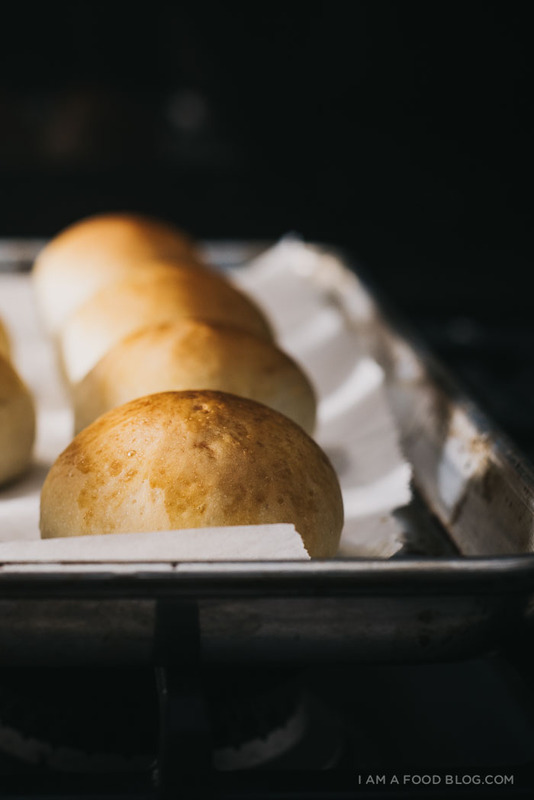 Perfect as dinner or slider rolls. Happy Easter Sunday guys! Hope everyone is having a fabulous one. 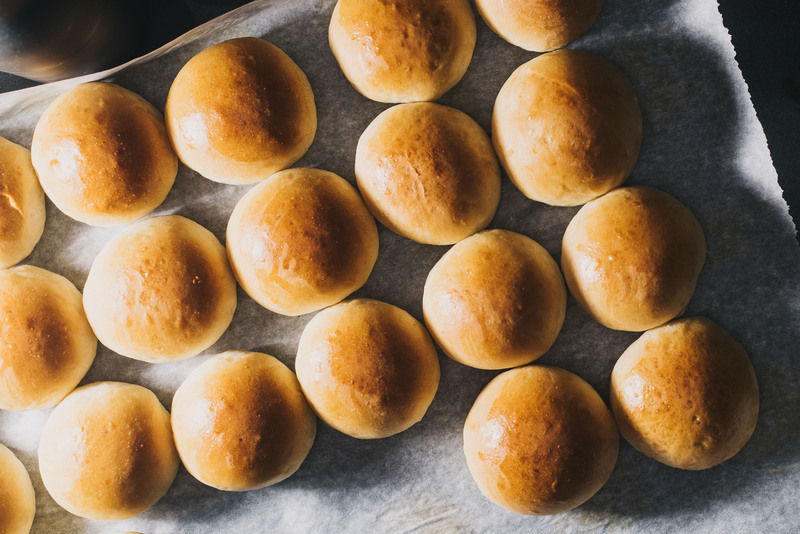 We’re heading out for dim sum brunch with my family, but when we get home we’ll have these soft and fluffy potato buns waiting for us. Usually on Sunday I’ll share a brunch recipe, and technically I guess potato buns aren’t really a brunch food, but I hope you’ll forgive me because I couldn’t let Easter go by without making some sort of bun(ny)-type food. Plus, these buns can easily be brunch-ifed: just tuck in some soft scrambled eggs, crispy bacon, and cheese for a quick breakfast sandwich. These potato buns were a dream to make. I love working with yeast, but for some reason I always shy away. Then when I do, I remember why I love it so much. 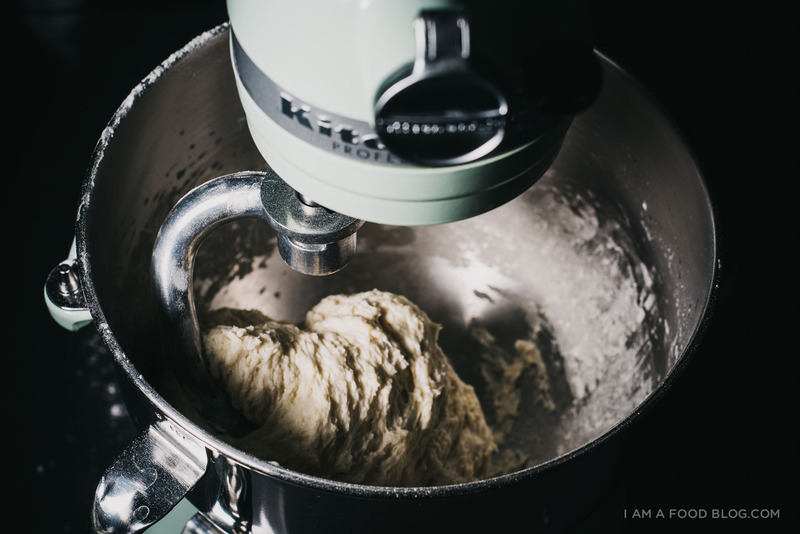 The soft give of dough as you’re shaping it is a feeling like no other. There’s something incredibly satisfying about combining flour, salt, yeast, butter, and sugar (and potatoes!) and ending up with soft, fluffy buns. This was my first time making potato buns and I was not disappointed. The potatoes add a gentle fluffiness that isn’t in regular bread and the added sugar gives these guys that signature potato bread taste. I boiled some potatoes and used a potato ricer for my potatoes, but you can go ahead and just mash yours. I haven’t tried this recipe out with leftover mashed potatoes, mostly because I never actually have leftover mashed potatoes, but I think they would work. 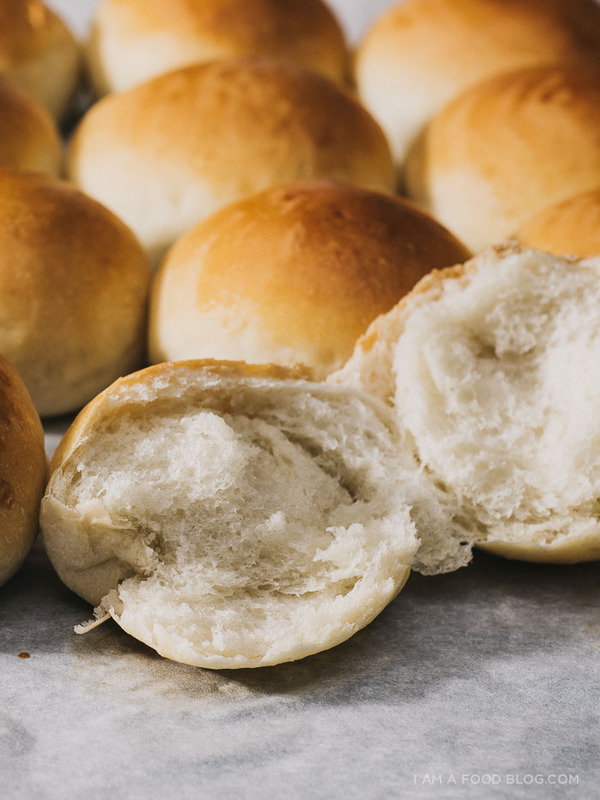 The recipe that I found for these guys have you bake them un-egg washed in a tray for more of a potato dinner roll, but I made these with the express desire to use them for sliders. I was going to scale the recipe down but Mike suggested that I make the whole recipe. It was a good call because we ended up eating quite a few just warm out of the oven. The rest are bunny-marked for some sliders and I can’t wait! Happy Easter again! Hope yours is bun(ny)-filled. In the bowl of a mixer, combine 2 cups of flour with the yeast. In a separate, small bow, mix together the water, potatoes, butter, sugar, and salt. Switch to the dough hook and add the remaining flour, adding as needed until the dough pulls away from the sides of the bowl and forms a ball. Place in a clean bowl and cover with plastic wrap. Refrigerate for 2 – 24 hours. Punch the dough lightly and turn out onto a lightly floured surface. Cover and let rest for 10 minutes. 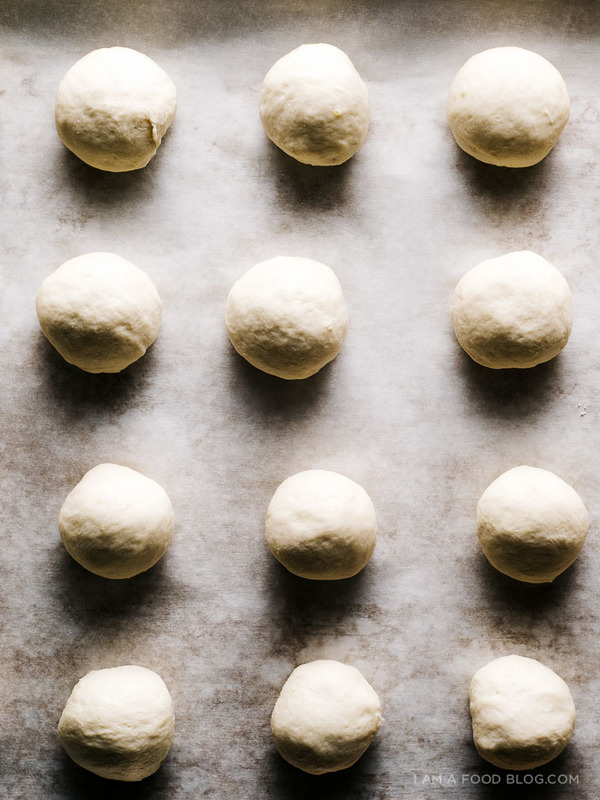 Divide the dough into 24 equal pieces and shape into balls. Gently flatten each piece of dough and shape by bringing in the edges to the centre. Place the ball, seam side down onto a parchment paper lined sheet, leaving 2 inches between. Cover and let rise in a warm spot until nearly doubled in size, about 40 minutes. 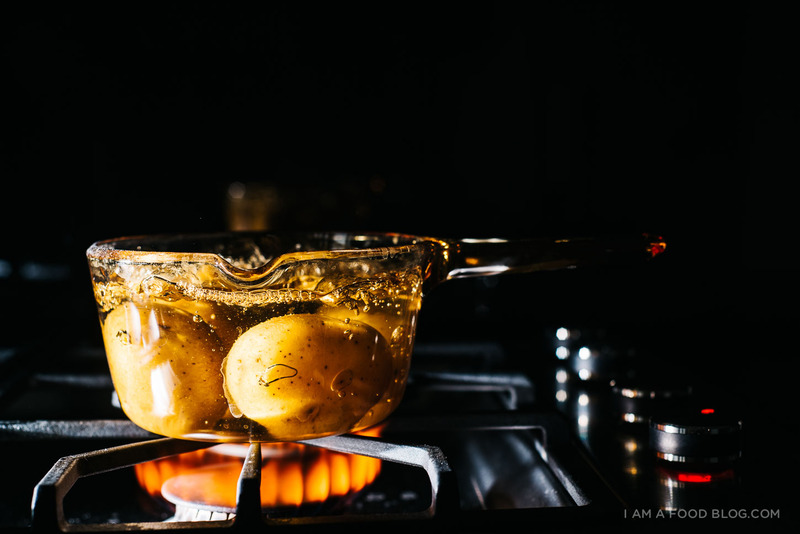 Heat the oven to 400°F and brush tops with an egg whisked with a splash of water. Bake for 16 to 20 minutes or until golden brown and cooked through. Dammit I just used up the potatoes yesterday. These look so delicious and so adorable (don’t know why. Bread fetish?). I never knew potatoes could be used n bread. will be trying these cuties out soon. Love love love your blog!! I have always missed potato rolls! They are too good just for Thanksgiving and Christmas. You bun are so pillowy and soft, I can only imagine the smell coming from your oven when they are baking Stephanie!! Happy Easter! The Dim Sum brunch sounds amazing! I LOVE potato buns!!! These look so so good lady <3 happy Easter! Yum! 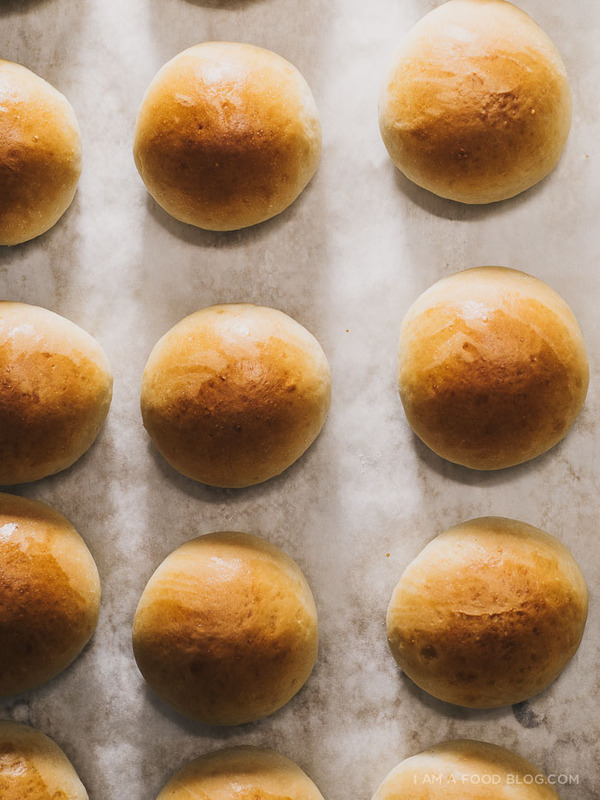 Nothing beats fresh buns. i tried a recipe for these buns from a cook book I got given, didn’t turn out well so ill have to try your recipe out, looks a bit simpler and they look lush. These are too cute for words! And, Stephanie, only you could make simple potato buns look absolutely stunningly gorgeous. That first photo is perfection! Making these right now! #psyched. As you probably know, I love to work with yeast. Potatoes work great in several kind of bread doughs and these buns look really fluffy and delicious. Need them in my life! These potato buns look absolutely fantatsic! Okay, just coming back to tell everyone that 1) I made these and 2) you should make them too cause they turned out FABULOUS! 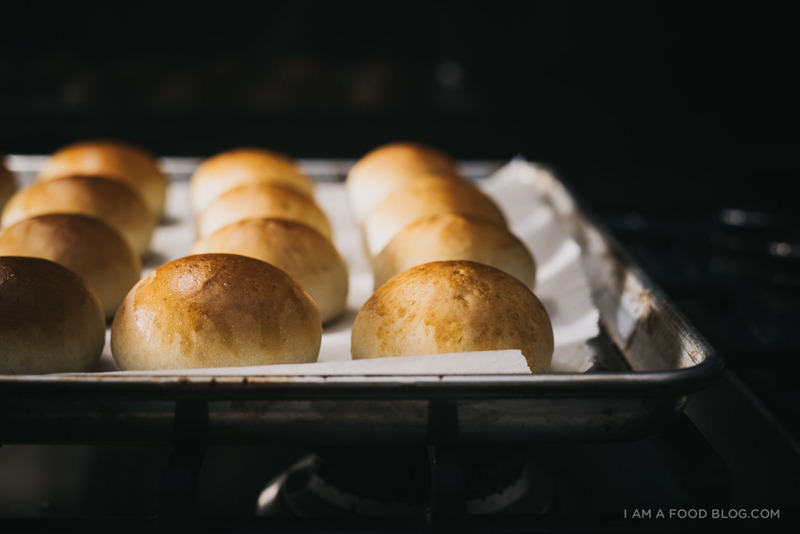 They were a treat warm right out of the oven and were really great as slider buns on the next day. Definitely going to make them again. If kneaded by hand, do i use all of the flour in the first place to form the dough? and does it require a lot of kneading? thanx! Hi! 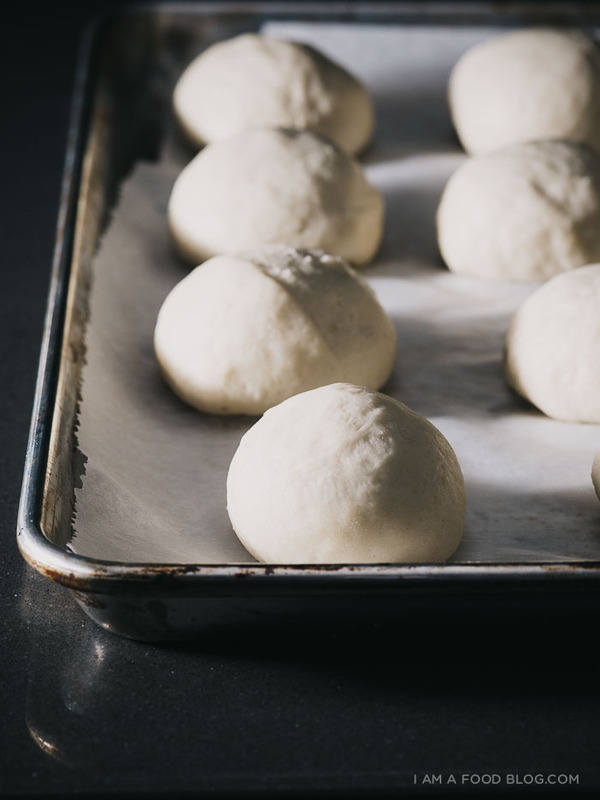 I haven’t tried kneading by hand, but I think it would be best if you followed the same steps, adding the additionally flour after the dough has been combined. After you add in the remaining flour, you want to knead the dough until smooth and elastic – the time on this would vary, depending on your kneading technique. these look so good, wish i could reach into my computer and pluck one out! can you make these with whole wheat flour and sweet potatoes/ube? would that work? thanks! ooh, i haven’t tried but i bet you could! the potatoes add just an extra bit of fluffiness – just make sure your sweet potatoes/ube are pretty dry/drained. let me know how it goes! these look delicious! do you think that substituting sweet potato for a healthier alternative to regular ol’ white potato would also work? oops! sorry, i though my original comment did not post as i didnt know new comments were at the bottom! Awesome buns! thanks for sharing this recipe. Tried and it came out good! Hey, can i do this glutenfree, HOW? help a swede out! I tried these a while ago. They were delicious but the size turned out to be quite small . Is this really enough for 24 buns or should I divide the batter into 12 buns? If i want them to be hamburger size? Yum made these for burger buns for dinner! Made them into 17 buns. Used margarine (Olivani) instead of butter as my daughter is allergic to dairy and glazed with a mix of soy milk and maple syrup. Delicious with pulled pork and coleslaw!